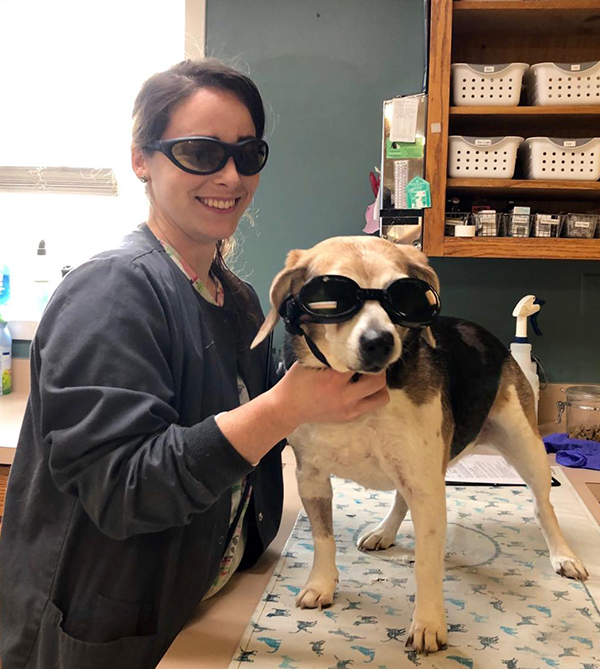 You may have heard about laser therapy, or your veterinarian may even have suggested it to you as a way to treat arthritis or other conditions, but what is it really? How does it work, and is it effective? If you have questions about this groundbreaking new treatment, we have the answers! This increasingly popular treatment option goes by many names: red light therapy, photobiomodulation therapy (PBMT), and low-level laser therapy (LLLT). Photobiomodulation means using non-ionizing light sources in a non-thermal (non-heat generating) process during which cells and tissues are activated at the level of the mitochondria—the structure that produces energy for cells. The exact method of action for laser therapy has not yet been determined, but it is thought that laser therapy provides stimulus that the cells need for healing and other body processes. Many health issues respond to laser therapy. Therapeutic lasers can be used to treat a variety of conditions, including osteoarthritis, intervertebral disc disease, lick granuloma, cellulitis, and others in dogs. Because lasers are painless, safe, and do not involve drugs, it can be a reasonable option for nearly any condition that involved pain. 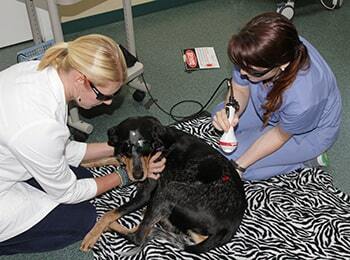 Veterinary laser therapy can provide relief from pain and swelling and speed the healing of wounds and injuries. Therapy stimulates acupuncture points and causes the release of endorphins to aid in pain relief and management. It can also used to provide relief from many persistent skin disorders by accelerating cell growth and tissue repai . Veterinary laser therapy can be a safe and highly effective treatment for pets who cannot tolerate surgery or pharmaceutical options. Talk to your Old Dominion Animal Hospital veterinarian about how laser therapy can help your pet!